Adapted from “Trying to Make a Sale? Avoid These Common Pitfalls,” first published in the Negotiation newsletter, April 2010. Why is it that even in sluggish markets, some homes are plucked off the real estate listings within days or weeks, and others sit for months, even years? Location and curb appeal have something to do with it, of course, but there’s another factor, one that sellers can avoid: the tendency to overvalue their property. 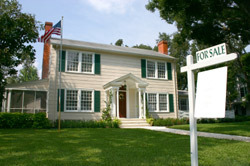 Ignoring their real estate agents’ valuations, some sellers insist on asking for at least what they originally paid for the property, and often much more. At least two common psychological phenomena explain the tendency to overvalue our possessions, according to Harvard Business School professor Max H. Bazerman. First, there’s the endowment effect, or the tendency to overvalue just about anything we own, no matter how trivial. One famous study led by Nobel laureate Daniel Kahneman found that students given nondescript coffee mugs set much higher selling prices for the mugs than students playing the role of buyer were willing to pay. Second, emotional attachment to sacred possessions often causes sellers to price items beyond their market value. According to this sacredness effect, the fonder the memories you attach to an object, the more valuable you’ll consider it to be. Lacking this attachment, most buyers will value the item at a much lower—and more rational—price. To avoid overvaluing your possessions, seek out appraisals of their worth from third-party experts such as real estate agents, jewelry appraisers, or financial experts. Lest you discount these experts’ informed opinions, Bazerman advises you to imagine how you will feel in several months or a year if your item fails to sell. By focusing on the future, you may be able to look at your possession more rationally. Home values rose in part due to the long held belief that a bank wouldn’t loan more than a property was truly worth. Many an Americans didn’t get the memo that this was no longer the case. Since banks would ultimately sell the loans, they no longer had a vested interest in the true value of the home. The psychology of over valuation in my opinion was partly fueled by this phenomenon. A lot of sellers have an emotional attachment to their home, and base their price on these emotions, rather that a more rational approach. When they set the price too high, the home will sit in the market for an extended period of time, which will eventually cause the homeowner to have to drop the price, anyway. Get a good real estate agent, and follow their advice. I sell real estate outside Chapel Hill NC. On average, Americans own their homes for around 7 years. So now when most sellers sell they do not have any room to lower their price to a reasonable market value without taking a loss. Most do not have cash to sell their own home. David, I am not sure I agree with your comment about banks not caring about the appraisal value of the home. In my market in the Triangle, NC even if the appraisal value is within a few thousand over the contract sales price the bank may not fund the loan. Even if the bank sells the mortgage they have to fit the loan within certain parameters.